1. JAMES SHAW (Co-Leader—Green) to the Prime Minister: Does he stand by all his statements? 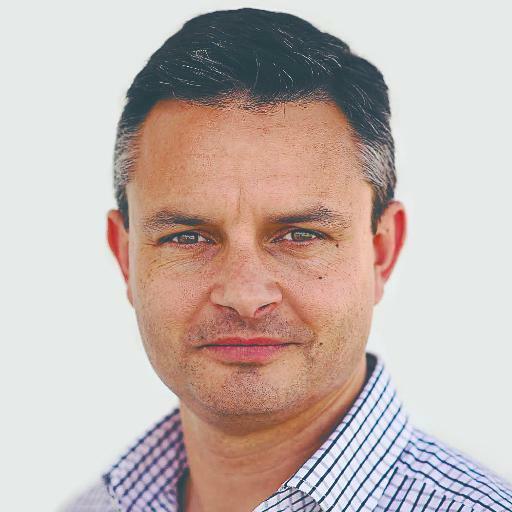 James Shaw: Why, then, did he tell me in April that foreign trust disclosure requirements on registration were “broad and deep”, when John Shewan described them this morning on Radio New Zealand National as “absolutely minimal and tells nobody anything”? Rt Hon JOHN KEY: Because I believe that to be an accurate reflection. If you look at what Mr Shewan is actually saying, it is not the amount of information that is being collected; it is where it is actually placed. He believes that it should be more fully in the hands of the Inland Revenue Department (IRD), as opposed to the trustees. But, broadly speaking, he is not recommending significant changes in the amount of information that is collected. James Shaw: When he said that our disclosure requirements were “broad and deep”, why, then, did the Shewan inquiry find that foreign trust disclosure rules are “inadequate”, “not fit for purpose”, and, therefore, likely to be abused? Rt Hon JOHN KEY: As I said, if you look at what Mr Shewan was also saying on Radio New Zealand National this morning, he was saying that, essentially, the issue here is where that information is kept, not what is collected. He made the point that he thought that it should be at the level of the IRD, with a register that can be searched by relevant agencies. The Government agrees with that and will continue to do that. James Shaw: Given that John Shewan has suggested that dodgy foreign trusts will quietly withdraw under the new disclosure rules, will the PM ask the Minister of Revenue to ensure that those trusts are investigated? Rt Hon JOHN KEY: Those are not the words Mr Shewan used. James Shaw: When Todd McClay told the Finance and Expenditure Committee last year that none of the reports that he had received from the Inland Revenue Department drew any conclusion on foreign trusts, did he mislead the select committee? James Shaw: When revenue Minister Michael Woodhouse ruled out making any changes to foreign trust rules in April, saying that they were world class, did he just get it wrong? Rt Hon JOHN KEY: No. In fact, actually, as John Shewan pointed out in the report, New Zealand’s international reputation is very strong—rightfully so. What he has recommended are a few changes that, in light of the Panama Papers and the international focus not on New Zealand but the broader issue, it is appropriate for New Zealand to make. The Government will follow those. James Shaw: When the Prime Minister insists that our foreign trusts have full disclosure despite warnings to the contrary from, first, the Inland Revenue Department in 2012, and now John Shewan, is he not misleading the public and this House? Rt Hon JOHN KEY: No, and I refer the member to John Shewan’s interview on Morning Report this morning, where he made it quite clear there is full disclosure. 2. ANDREW LITTLE (Leader—Labour) to the Prime Minister: Does he stand by his statement that “tax havens are where there is non-disclosure of information. New Zealand has full disclosure of information”, given the Shewan report “concludes that the existing foreign trust disclosure rules are inadequate” and “not fit for purpose in the context of preserving New Zealand’s reputation”? Rt Hon JOHN KEY (Prime Minister): Yes, and I note that Mr Shewan this morning confirmed that New Zealand does currently have full disclosure of information. As he explained, records are required to be maintained by trusts, and if they are asked to exchange that information, they must do so. Mr Shewan has recommended extra measures that will see that information provided to the Inland Revenue Department (IRD) through a searchable register. Andrew Little: Does he agree with the Shewan report that “there is a reasonable likelihood that the regime is facilitating the hiding of funds or evasion of tax”; if so, why has he consistently denied that there is a problem? Rt Hon JOHN KEY: I cannot confirm that one way or the other, because I do not have any access to the source document, and Mr Shewan himself was unable to find any evidence that that was the case. Andrew Little: Does he agree with the Shewan report that “under current law and enforcement practices the risk of detection by authorities is low.”; if so, why has he consistently claimed there is no problem? Rt Hon JOHN KEY: I certainly agree with Mr Shewan that there can be improvements, because by having that information at the IRD’s level in the searchable register, it makes it easier. But New Zealand has complied with every request it has had. The same information will still be collected, and in fact under the changes that the Government has made, including the extension of the automatic exchange of information, the rules around the Foreign Account Tax Compliance Act, and others, have shown that, actually, New Zealand, by the way, does have that information and it does give full disclosure. Tim Macindoe: What does the independent Shewan report have to say about claims that New Zealand is a tax haven? Andrew Little: Does he agree with the Shewan report that “… New Zealand is part of a global tax police force … to clamp down on aggressive tax practices.”; if so, why has he allowed New Zealand trusts to dodge other countries’ tax? Rt Hon JOHN KEY: New Zealand’s primary purpose, from an IRD perspective, is to preserve our own tax base. Of course, it is also to have good international tax practice, and we do. As the Shewan report quite correctly says, New Zealand ranks right at the top for best international tax practice. Andrew Little: Which is true: his claim that we provide full information to other Governments, or the Shewan report’s finding that “the paucity of information currently disclosed … appears to limit IRD’s ability to proactively provide assistance to foreign revenue authorities.”? Rt Hon JOHN KEY: The member is selectively trying to quote from John Shewan, when this morning he made it quite clear on Morning Report that, in fact, actually, the situation is that New Zealand does have full disclosure. Mr Shewan is not recommending a significant widening of the amount of information collected; what he is recommending is that there should be a searchable register held at IRD’s level. Tim Macindoe: What reports has the Prime Minister seen on the appointment of Mr Shewan to lead the independent inquiry into foreign trust disclosure rules? Mr SPEAKER: Order! I thank the Prime Minister but I do not see any ministerial responsibility. [Interruption] Order! I want substantially less interjection from members to my right. Andrew Little: If at least one member of the House is capable of accepting when he has got it wrong and publicly acknowledging that, when is he going to acknowledge to the public of New Zealand that he misled them about the state of our foreign trust tax laws? Rt Hon JOHN KEY: I have not misled the New Zealand public. We certainly commissioned a report and made sure that that report comes up with some recommendations. But if I had misled the New Zealand public, I would not hide behind the liniment bottles and try to release that apology 2 hours before an All Blacks test match and pretend no one saw it. I would have the courage of my convictions. Andrew Little: Why did he block efforts to fix foreign trusts in 2013, when the Shewan report finds that they helped tax evasion, that the risk of getting caught is low, and we do not give assistance to countries trying to stop tax-dodgers? Rt Hon JOHN KEY: In answer to the first part of the question, the member is incorrect. In answer to the second part of the question, the Shewan report makes it quite clear that New Zealand has a very high international reputation. In fact, it says that the only damage done is by misguided New Zealand politicians trying to score domestic political points, and in fact internationally there was virtually no coverage of New Zealand, because it is well respected for what it does. Andrew Little: Is it not time for him to stop playing silly buggers and admit what the IRD told him in 2013, what John Shewan told him last week, and what every New Zealander knows: that his Government has been harbouring foreign tax-dodgers for far too long? Rt Hon JOHN KEY: The member, if he wants to look at responsibility, should get out a mirror, and stop apologising to John Shewan 2 hours before an All Blacks test match, and have the guts to get up and say it in this Parliament—that he is sorry. 3. SARAH DOWIE (National—Invercargill) to the Minister of Finance: What reports has he received on risks in the global economy, and the potential implications for New Zealand? Hon BILL ENGLISH (Minister of Finance): As members will be aware, on Friday the United Kingdom voted to leave the European Union. This has created some uncertainty in financial markets, particularly currency markets, and also sharemarkets fell, particularly in the UK, Europe, and Japan. Government bond yields fell to low levels, and oil prices fell. Although substantial, these market movements have been orderly so far, although financial market volatility is expected to continue in the short term at least, and may have some impact on New Zealand. We have already, for instance, seen the New Zealand dollar rise against the pound, but fall against the US dollar. Sarah Dowie: How well placed is New Zealand to deal with international uncertainty? Hon BILL ENGLISH: Global economic uncertainty is pretty much the norm these days, whether it be due to the exit of Britain, alongside the uncertainty about the outlook for the management of credit in China, or the timing of interest rate rises in the US, or the forward track for dairy prices. In New Zealand, though, New Zealand businesses, particularly our exporters, were forced to become more competitive when the exchange rate was US88c, and they are now reaping rewards, despite global uncertainty. We are seeing New Zealand companies with the confidence to continue to grow and invest, knowing that they are able to adapt and respond to the international economy as it changes. We are an open and confident country, and our businesses back themselves on the world stage. Sarah Dowie: How is the Government’s programme of economic reform supporting the resilience of the New Zealand economy? Hon BILL ENGLISH: The Government approach is not to respond to every shock. As I have outlined, there is any number of sources of economic stability, although we will be pragmatic if the impact of those shocks is major. However, we do work to support the resilience of the economy, through responsible fiscal management, continuing independent monetary policy, sustained investment by the Government in infrastructure and in skills, and the Business Growth Agenda, which is focusing on supporting businesses to invest, to grow, and to diversify. Sarah Dowie: How does our economic resilience compare internationally? Hon BILL ENGLISH: There are any number of measures that can be used for our ability to withstand further destabilising in the global economy, if that is what occurs. Treasury has collated a list of the countries that have a broadly balanced budget, net Government debt less than 40 percent of GDP, economic growth greater than 1.5 percent, and scope to further reduce interest rates. These are all criteria that New Zealand meets, and only three other OECD countries—that is, Australia, Iceland, and South Korea. So by these measures, we are in as good a position as most developed countries to withstand any destabilisation in the world economy. 4. Rt Hon WINSTON PETERS (Leader—NZ First) to the Prime Minister: Does he stand by all his statements; if so, how? Rt Hon JOHN KEY (Prime Minister): Yes; and I would have thought it was blindingly obvious. Rt Hon Winston Peters: Of these two statements: “It is in New Zealand’s best interests for the UK to stay within the European Union.” or “The UK leaving the European Union would not have any direct significant implication on New Zealand.”, which one did he rely upon, uninvited, to poke his nose into the UK referendum process? Rt Hon JOHN KEY: Both are correct. Talking of poking one’s nose in, I thought the member was—he was leading the campaign for them to leave. Rt Hon Winston Peters: If one of the driving forces for the Brexit vote was grave dissatisfaction with the social and economic pressures of rising immigration, why does he not commit to reducing immigration to New Zealand to prevent further pressures on our housing, infrastructure, skills, and hospitals in Auckland—and now further around the country? Rt Hon JOHN KEY: Because, of course, migration will go in cycles. Much of what is driving the strong net migration into New Zealand is New Zealanders returning, or not leaving. If we go and have a look at 2011-12, about 40,000 Kiwis net went to Australia; those numbers now are a positive number, about 1,700. I might point out that his favoured politician in the world, Nigel Farage, is advocating, actually, that Britain has New Zealand’s immigration rules. Rt Hon Winston Peters: If, as he said of the UK: “We can control our migration, they can’t,” and our rates of immigration in real per capita terms are four times that of the UK, does that mean that he still believes in record immigration into New Zealand? Rt Hon JOHN KEY: I certainly do support this country bringing in people who can add value and make a difference to New Zealand. But if one looks at 2015, in broad terms, 650,000 people went into the United Kingdom, half of whom were from the European Union, from where there is no control of whether they came or did not come. In New Zealand’s case, the only unlimited migration that can take place into this country is, fundamentally, from Australians. Rt Hon Winston Peters: What can the public make of his performance in Northland, the flag referendum, the Trans-Pacific Partnership (TPP) agreement debacle, Brexit, and now foreign trusts, other than that his aspirational pixie dust is fast running out? Rt Hon JOHN KEY: I am delighted, in a way, that the member thinks that I am so influential that I was the driving force behind Brexit, one way or the other—I wish I had such influence. When it comes to TPP, I hope the agreement is ratified, because it will be good for New Zealand. 5. GRANT ROBERTSON (Labour—Wellington Central) to the Minister of Finance: Did he read the report, “Taxation of Multinationals” prepared by the Treasury and the Inland Revenue Department dated 15 August 2013, and what was his response to the statement in that report in respect of foreign trusts “to protect our international reputation it may be necessary to strengthen our regulatory framework for disclosure and record keeping”? Hon BILL ENGLISH (Minister of Finance): As I said in my answer to the member’s near-identical question on 6 April, yes, I did read the report, and agreed to all the recommendations in it. The main recommendation was that Ministers agree that initiatives “to protect the New Zealand tax base from base erosion and profit shifting should be the key focus”. This is exactly what the Government has done. Base erosion and profit-shifting tax strategies allow multinationals to exploit gaps and discrepancies in tax rules in order to shift their profits to foreign countries where tax rates are lower. New Zealand has been working with the OECD and the G20 to develop a coordinated global solution to address this, because a solution carried out by one country on its own is unlikely to be effective. Yesterday the Inland Revenue Department (IRD) released the action plan setting out the steps the Government has already taken, as well as further steps in the pipeline, to address this issue. Grant Robertson: Why did his Government not act on advice from officials in August 2013, again in August 2014, again in November 2014, and again in December 2014 that New Zealand’s rules around foreign trusts were damaging our reputation and needed to be tightened? Hon BILL ENGLISH: In August 2013 officials did not recommend the Government take action on it, actually. What they said was to take action to protect the New Zealand tax base. There is a long string of further actions that have been taken, consistent with New Zealand having one of the tightest regimes for the taxation of foreign ownership of income that can be taxed by New Zealand. So our priority was protecting the New Zealand tax base. The Shewan inquiry has given us clear direction about how to deal with the foreign trusts, which are, of course, all about the tax bases of other countries. Grant Robertson: Is it correct that the November 2014 briefing from the IRD that was referred to him as Minister of Finance already included work on a review of foreign trusts, with a report due to go to the Minister of Revenue in December 2014? 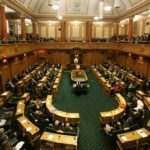 Hon BILL ENGLISH: I cannot confirm that, but it may be either that or some similar report that led to the legislation that is now before the House dealing with the role of look-through companies in respect of foreign trusts, about which the advice is that it will bring an end to most of the types of activity that the member and ourselves would like to see finished. Grant Robertson: Will he now admit to this House that the Inland Revenue Department had started work on a review of foreign trusts; that that work was stopped because the foreign trust industry, through the Prime Minister’s lawyer, influenced the Government; and that now, 3 years on, New Zealand’s reputation has been damaged because he did not do that work? Hon BILL ENGLISH: No, because none of what the member has said is correct. New Zealand’s reputation is that it has one of the toughest regimes for taxing the incomes of foreign companies, and he should just go and ask a few of those who regularly complain to us about how tough that regime is. In respect of his first few assertions—as I explained in my first answer, the Government’s priority has always been the protection of the New Zealand tax base. The Inland Revenue Department, in the midst of a large-scale transition in its own organisation and IT system, has limited resources. We made decisions about priorities, which we stand by. Grant Robertson: In light of that answer, why has the Government’s priority now changed so that it will tighten the rules around foreign trusts? Is it just because of the publicity from the Panama Papers, and otherwise his Government would have gone on siding with the mega-rich and the foreign trust industry? Hon BILL ENGLISH: The member’s assertions are simply wrong. The Government will reduce the priority it has been giving to other matters in order to deal with the recommendations of the Shewan inquiry because it is important that we deal with the issues of information disclosure, to ensure that everyone does have full confidence in our regime. But I would stand by my statements: New Zealand has one of the toughest regimes in the developed world for the taxation of income of foreign-owned companies. Grant Robertson: I seek leave of the House to table an Inland Revenue Department policy and strategy policy report dated 14 November 2014, which includes the statement that there is work under way on a review of foreign trusts. Mr SPEAKER: I will put the leave. This is a paper prepared by the IRD, dated 14 November 2014. Leave is sought to table that particular piece of paper. Is there any objection? There is objection. 6. MARK MITCHELL (National—Rodney) to the Minister of Trade: What steps has the Government taken to safeguard New Zealand’s trade interests following the United Kingdom’s vote to leave the EU? Hon MURRAY McCULLY (Minister of Foreign Affairs) on behalf of the Minister of Trade: The Government had sought and received assurances from the UK and the EU before Friday’s referendum that the rules around New Zealand’s trade access would not change until they had negotiated new arrangements with us. The process of discussions between the EU and the UK will likely take some considerable time given the large number of issues to be worked through. The Prime Minister, Ministers, and senior officials will be visiting the UK and Europe in the coming months and will also be meeting with key decision makers on the margins of international meetings. They will continue to work closely with the United Kingdom and the European Union to ensure our trade interests are maintained and advanced. Mark Mitchell: How will New Zealand’s trading relationship with Britain be affected by the vote to leave the EU? Hon MURRAY McCULLY: Not much will change in the short to medium term. New Zealand trades with the UK under an umbrella of rules and market access conditions that relate to the UK’s EU membership. The UK remains a member of the EU for the moment, and it will need time to work through the implications of its decision to leave and to put new trading arrangements in place. Although there is no precedent for a member State exiting the EU, the framework of World Trade Organization (WTO) rules provides safeguards for New Zealand market access and trade. The EU and the UK’s WTO commitments set out our existing market access arrangements, including longstanding country-specific tariff quotas for New Zealand. If the UK and EU wish to change those arrangements, then WTO rules require them to notify us and to renegotiate with us. Mark Mitchell: What impact will the vote to leave the EU have on progress on the EU free-trade agreement (FTA)? Hon MURRAY McCULLY: Although negotiations between the UK and Europe will command significant attention, we do not expect the time lines around a possible NZ – EU free-trade agreement to be significantly affected. It has been evident for some considerable time that New Zealand would need to build stronger relationships across the entire EU membership in order to successfully conclude an FTA and to consolidate our relationship with the European Union generally. That is the strategy that Ministers have been actively pursuing for some considerable time. 7. JULIE ANNE GENTER (Green) to the Minister of Transport: Can he confirm that a rail corridor in Auckland has the potential to carry 10 times as many people as a single lane of motorway, and twice as many people as a dedicated busway? Hon SIMON BRIDGES (Minister of Transport): No. Mr SPEAKER: Order! I just need to know who prepared the chart. Julie Anne Genter: It is the Auckland Regional Transport Authority. Mr SPEAKER: On the basis of the member’s explanation that the information may now be hard to find, I will put the leave. It is for the House to determine. Leave is sought to table that particular chart. Is there any objection? There is objection. Julie Anne Genter: Given the much greater capacity of rail over motorway lanes, why has his Government committed billions of dollars to up to 10 new motorway expansion projects and no new money to rail expansion projects? Hon SIMON BRIDGES: The member is just plain wrong. We have invested $4.2 billion in rail. We are committed, in principle, to the City Rail Link, albeit we have got to work through a business case to ensure its success. There will be further improvements, but she is right about one thing: we also invest in roads, because Aucklanders and New Zealanders also want to see that considerable investment as well. Mr SPEAKER: Order! I do not need further—I just need to know whether the NZTA report is available on the internet. Julie Anne Genter: It is quite difficult to find. Mr SPEAKER: No. [Interruption] Order! Members can get assistance from the member if they really need to find it. I am not putting the leave. Julie Anne Genter: So is the Minister saying he thinks that Aucklanders and visitors to Auckland should be content, for example, to be stuck on the airport bus for another decade or two—which is stuck in traffic—rather than having a rapid transit link? Hon SIMON BRIDGES: No. That is why we are investing considerably in Auckland. That is why the New Zealand Transport Agency is working on route protection to ensure that there is high-capacity public transport between the airport and the central business district. Of course, we are working on a plethora of projects all around Auckland, as my colleagues to the left of me say, including the western ring route, the southern and northern motorways, the Northern Busway, and many more projects to come. Julie Anne Genter: Would his Government consider making a rail link to the airport a priority if it was named after Captain Cook? Mr SPEAKER: Order! [Interruption] Order! That answer will not help the order of the House. 8. TODD BARCLAY (National—Clutha-Southland) to the Associate Minister of Education: What recent announcements has the Government made about investment in school property? Hon NIKKI KAYE (Associate Minister of Education): In the last week Minister Parata and I announced over $51 million in projects to build and redevelop new schools and classrooms. This spending is part of the significant increase of $882 million in education infrastructure secured as part of Budget 2016. This budget more than doubled the education infrastructure spend of last year’s budget. I am pleased to advise the House that this Government has committed around $5 billion to school property—significantly more than any previous Government. Todd Barclay: What investment in schooling infrastructure is under way in Otago-Southland? Hon NIKKI KAYE: Last week I was pleased to announced that around $37 million will be invested in school property in Otago and Southland, including around $25 million for Wakatipu High School to be relocated and rebuilt for a roll of at least 1,200 places; up to $11 million to redevelop Arrowtown primary school in Central Otago; $350,000 for a new classroom at Donovan Primary Schoolin Invercargill; $700,000 for two new classrooms at Mt Aspiring College; and $350,000 for one new classroom at Pembroke School in Ōāmaru. These investments demonstrate a strong commitment to ensure modern learning environments in high-growth areas. Dr Parmjeet Parmar: What investment in schooling infrastructure is under way in Auckland? Hon NIKKI KAYE: Last week I announced that around $14.5 million has been approved for Clayton Park School. This school has experienced issues with aged and leaky buildings, and asbestos. The redevelopment will see most of the school’s existing buildings replaced and will add 19 permanent teaching spaces. This is on top of the already announced $153 million as part of Budget 2016, to get ahead of growth in Auckland. I can also confirm that since 2014 the Government has invested $261 million in Auckland’s school redevelopments. This shows the Government’s commitment to meeting the needs of students in our fastest-growing city, now and into the future. I am pleased to confirm that there will be further announcements this year delivering more redevelopments and more good news for New Zealand. 9. 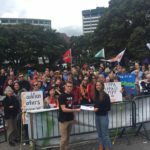 CHRIS HIPKINS (Labour—Rimutaka) to the Minister of Education: Does she agree with John Key that private schools have smaller class sizes and are better resourced than State schools; if so, will she commit to smaller class sizes and better resources for State schools as part of a future education funding system? Hon HEKIA PARATA (Minister of Education): Tēnā koe, Mr Speaker. I understand that Mr Hipkins is referring to a 2005 article in which the Prime Minister talked about making a choice as a parent. I fully support the right of parents to choose what they think will be best for their children’s education. What I commit to, as Minister, is using educational resources in the most effective way possible to ensure choice for parents, flexibility for schools, and results for kids. That is why the funding review is exploring how the education funding system could be improved so that the right resources get to the right child at the right time in the right amount. 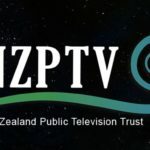 That is also why a number of proposed directions for change are currently being discussed with an advisory group that includes representatives from the sector, including the Post Primary Teachers Association and the New Zealand Educational Institute. Chris Hipkins: Why has she proposed removing the cap on private school funding and moving to a per student funding model for private schooling, given that State schools are struggling to make ends meet, resulting in demand for parental donations rising at 10 times the rate of inflation? Hon HEKIA PARATA: Helpfully, all of the background papers are publicly available on , where the member will be able to ascertain that the proposal is for per student funding for all students across the system, and what is proposed for those who are at independent schools is a predictable amount. It would be equivalent to how much the Crown would incur if those students were being fully funded in the State mainstream system. Chris Hipkins: I raise a point of order, Mr Speaker. I did not ask the Minister to explain what the proposal was; I asked her why she was making the proposal. Mr SPEAKER: No, and I felt that on this occasion the Minister addressed that question. She suggested there was a variety of reasons available on the website. The member then did add some politics to the question with his last bit, suggesting that State schools were struggling. So it has been addressed. [Interruption] No, it has been addressed. Chris Hipkins: Why has she proposed removing the cap on private school funding and moving to a per student funding model for private schooling? Hon HEKIA PARATA: It is a matter of equity. As I explained—[Interruption] Yes, and as I explained at the end of my answer to the primary question, it is because I wanted to more clearly match the amounts that would be incurred if those students were being educated in the fully funded mainstream system. It is because I want greater predictability and certainty across the education system, and it is because I want to support the diversity of choice that is available to all parents and that characterises New Zealand as having a world-leading education system. Chris Hipkins: If it is a matter of equity, as the Minister now claims, how is increasing funding for students who attend private schools, who, by the Prime Minister’s own admission, already receive more resourcing than those in State schools and already have lower class sizes, possibly going to help equity and help the achievement of students who are not doing as well in the public school system? Hon HEKIA PARATA: I am not proposing—and I want to confirm to the House that these are proposals and available for discussion—that the education system fund all of the costs. I am simply saying that the equitable approach would be to fund more closely to what it would cost the system if those students were fully educated in the publicly funded system. Chris Hipkins: Will her proposal result in an increase in funding on a per student basis for those students who are attending private schools? Iain Lees-Galloway: Answer the question. Mr SPEAKER: Order! [Interruption] Order! Mr Iain Lees-Galloway, cease the interjecting, please; it is creating disorder. Order! I will not be asking you again. Chris Hipkins: Why is she considering increasing funding for private schools when 86 percent of secondary school principals are reporting that they have insufficient Government funding and are cutting field trips, available subjects, and curriculum resources? Hon HEKIA PARATA: Again, if I could point the member and his colleagues to the actual proposals, he would see that we are proposing a per student amount for every New Zealand child going to school, that we are proposing an additional amount for those most at risk of not succeeding, and that we are proposing an additional amount for schools that are isolated, in rural areas. The proposal, as a whole, is: how do we give greater certainty and predictability to all school managers, how do we use data to ensure that we are getting impact for that investment, and how do we assure taxpayers that the over $11 billion we are putting into Vote Education is resulting in more kids being educationally successful? 10. TRACEY MARTIN (NZ First) to the Minister of Education: Does she stand by all her statements? Hon HEKIA PARATA (Minister of Education): Where accurately represented, yes. Tracey Martin: Does she stand by her statement on The Nation that principals already set class sizes now? Hon HEKIA PARATA: I do, yes. That is because the Ministry of Education funds to the schools on the basis of a ratio, but it is the principal who decides what the actual size of classes will be. Hon Member: It doesn’t, actually. You know that. Tracey Martin: In light of that answer, can she confirm that staff funding for mainstream primary schools is currently based on a teacher-student ratio of 1:15 for year 1, 1:23 for year 2 and year 3, and 1:29 for year 4 to year 8, with variations for smaller rural schools? Hon HEKIA PARATA: Indeed, the member has helpfully confirmed my answer, which is that we fund on the basis of the ratios that have been quoted, but then how the principal decides to set the class size is the principal’s decision. Tracey Martin: How can she stand by those statements that principals set class size, when in reality many principals have no option but to increase class size, often into the mid-thirties in our senior school, while they wait to reach her ministry’s predetermined teacher-student ratios, over which they have no flexibility? Tracey Martin: They can’t get a teacher, Minister, until they get another 20 kids. Hon HEKIA PARATA: —as to how they set class size. Talking over the top does not help the member listen. 11. ANDREW BAYLY (National—Hunua) to the Minister of Customs: What update can she give on how customs detector dog teams are improving security at New Zealand’s borders? Mr SPEAKER: Order! I am sorry; I am having trouble hearing because of the interjections of two members. The Minister has the floor to answer a question, and she will be heard. The Hon Nicky Wagner—I apologise for interrupting. Hon NICKY WAGNER: Thank you, Mr Speaker. In the past 3 years customs detector dog teams have identified $10 million of undeclared and concealed cash at the border. They help protect New Zealand from money-laundering, and they detect movements of large sums of cash that can be linked to illicit activities. Andrew Bayly: What additional funding is the Government providing for detector dog teams? Hon NICKY WAGNER: Budget 2016 provided around $500,000 for five new detector dog teams, which will bring a total of 13 to 18. These additional teams will provide additional assurance to ensure that people comply with the rules around large sums of cash, and it sends a very clear signal to criminals that the Customs Service can and will stop illegal cash movements at the border. 12. SUE MORONEY (Labour) to the Minister of Finance: Does he stand by his statement to Radio New Zealand on 17 June 2016 that extending paid parental leave to 26 weeks “would add when it’s fully in place about $280 million a year”? Hon BILL ENGLISH (Minister of Finance): No; I was incorrect and should have used the numbers in the veto certificate. This is a useful opportunity to clarify the numbers. The Government—[Interruption] well, just listen—currently spends about $280 million a year on paid parental leave. Labour’s proposal, once fully implemented, would cost around $120 million per year on top of that, or $100 million per year net of tax. Net of tax, the proposal would cost $280 million over the next 4 years. However, I vetoed the bill based on the Government’s view that this is unaffordable now, particularly in the light of other spending priorities that we have. In short, the policy costs too much, and that is why we vetoed it. Sue Moroney: Why did he repeat that incorrect figure four times throughout that interview, even when challenged by Guyon Espiner on the accuracy of it, given that just the day before he had issued a financial veto certificate stating that the additional cost in the 2018-19 year of full implementation would be just $116 million? How did he get it so wrong on four occasions? Mr SPEAKER: Order! The question has been asked in a very lengthy fashion. Hon BILL ENGLISH: Because I confused the $280 million over 4 years with $280 million a year. Mr SPEAKER: Order! [Interruption] Order! It is doubtful whether there is ministerial responsibility, but I will let the Minister— Order! I am allowing the Minister to address the question. Hon BILL ENGLISH: There has been a welter of numbers around the whole policy, but I just remind the House what the current policy is. That is, it was 14 weeks’ paid parental leave, this Government extended it over 2 years to 16 weeks, and then to 18 weeks. That currently costs about $280 million a year, and we vetoed the extension. Mr SPEAKER: Order! The member will resume her seat. If she wants to raise a point of order, I will listen to it, but it is not about filibustering question time. Mr SPEAKER: Order! I will just hear the point of order. Mr SPEAKER: Order! And it was a question for which there was no ministerial responsibility for what various backbench members have said. I should have ruled it out of order in the first place. Mr SPEAKER: Order! The member needs to sharpen up her supplementary questions. [Interruption] Order! Order! My patience will run out with Sue Moroney. We have had lengthy supplementary questions that are, strictly, out of order. I am trying to assist her to get an answer, but if she continues to interject when the Minister rises to his feet, I see no point in carrying on. The Hon Bill English, briefly. Hon BILL ENGLISH: The member needs to sharpen up her ability to win electorate seats after, I think, five losses. Mr SPEAKER: Order! This is a point of order—well, I certainly hope it is. Rt Hon Winston Peters: First of all, you ticked off the questioner for trying to put together a couple of examples of what the question was about, and then the Minister got up and started off with a blatant insult, and, as usual, you did nothing about it. Mr SPEAKER: And, in retrospect, I probably should have said to the Minister that the answer was not helpful, but we have had a series of questions that have been very politically loaded when you get such—[Interruption] Order! When you get questions like that, it tends to lead to quite political responses from Ministers. We will move on. Sue Moroney: Supplementary question, if I may, Mr Speaker. Mr SPEAKER: Provided—[Interruption] Order! I just want to warn the member that provided it is in line with the Standing Orders, I will allow her supplementary question. If it is a lengthy one, like we have had— No, no. I am speaking to the member. I will accept a supplementary question, but it has got to be in line with the Standing Orders. Sue Moroney: Why is the National Party so determined to mislead New Zealanders on the cost of extended paid parental leave to 26 weeks by more than doubling the costs that have been determined by Government officials? Mr SPEAKER: Order! I will leave the question to stand, but when the answer is political, the House should not object. Hon BILL ENGLISH: The National Government is keen to extend paid parental leave, as it can afford it, weighed up with other alternatives. For instances, on 1 April over a hundred thousand of the poorest families in New Zealand got $25 a week extra per week. We could have used that money to extend paid parental leave, but we thought the best balance was some extension in paid parental leave and $25 a week for all families on a benefit with children. We think that balance is about right. Mr SPEAKER: Order! Again, I invite the member to go back. The question started off by saying “Why did the National Party do something?”. The Minister has responsibility for the Government, but certainly not for the National Party.